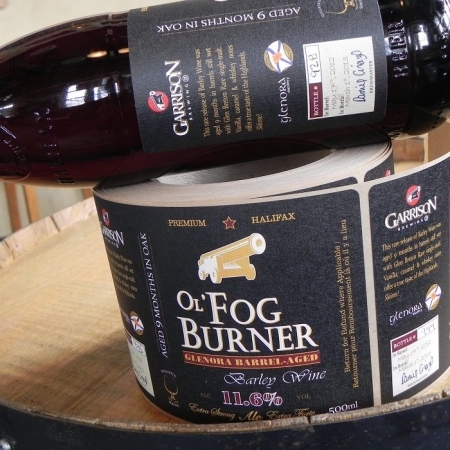 HALIFAX, NS – Garrison Brewing has released the 2013 edition of Ol’ Fog Burner Barley Wine, and as in the last couple of years, it’s accompanied by a limited edition variation aged in whisky barrels from the Glenora Distillery. Both versions check in at 11.6% abv, the highest alcohol level so far for this annual spring seasonal offering. The aged version spent 9 months in the barrel, and is limited to 1000 bottled. Both editions of Ol’ Fog Burner 2013 are available now in 500 ml bottles at the Garrison retail store while quantities last.